Some users which start using older versions of RRC:s to K3 Twin has found out that the remote K3 starts as soon as you connect the ACC cable. It’s very easy to solve, just remove D10. 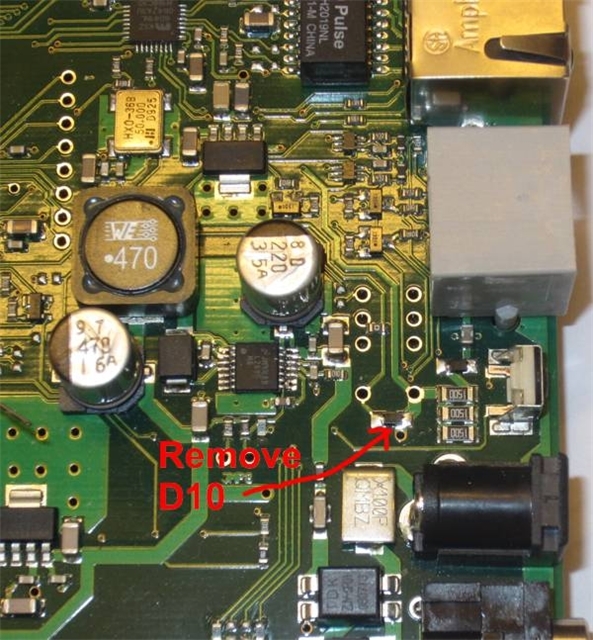 It can be done by desoldering it or just cut it apart with a cutter. D10 is removed in production from 2011-03-24.